It was brief but it was a very welcome short visit from the sun. ! Didn’t last so long but great to actually see the hills covered in snow. 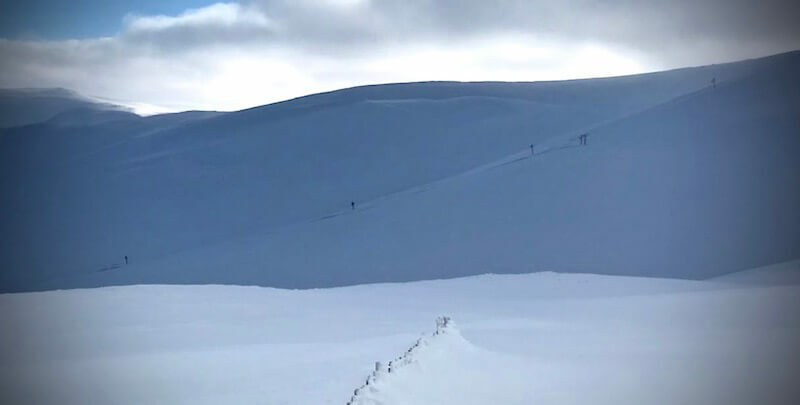 Yesterday we had a Considerable with avalanches likely forecast, wasn’t really a surprise to us or Glenshee Ski Centre to see the West Wall at Glas Maol had avalanched. We’d been waiting on it. Unfortunately the visibility was gone to get some good shots of it. 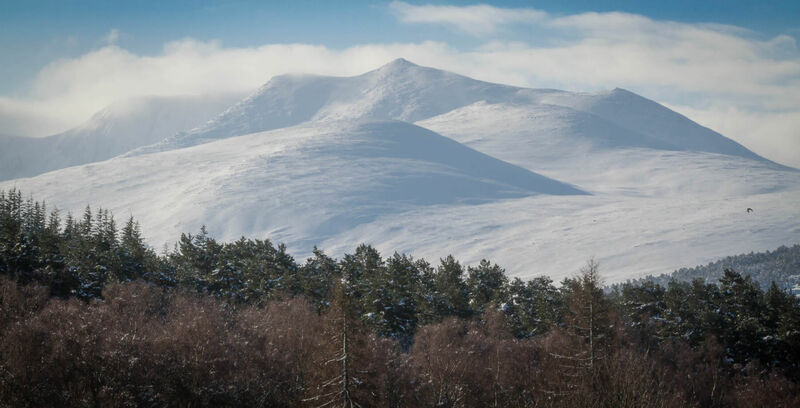 Lochnagar this morning, looking very snowy. We’ve now had thick snowcover for over a week. 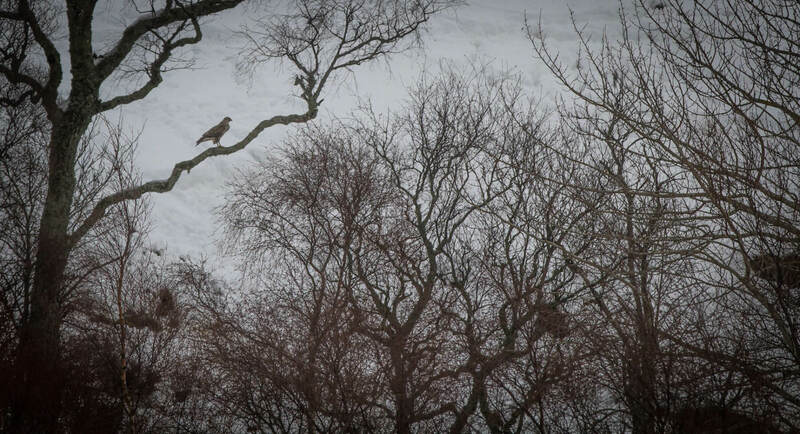 Like most of the local wildlife this Buzzard is looking for a meal! Wasn’t too long before the cloud came back. The view from the cab this morning. David’s pic of the West Wall before the cloud came in – the crown wall top centre. A large avalanche. My view of the debris! Big blocks around but very poor visibility again. Deer have been sheltering on unstable West aspects, setting off multiple sluffs and rollerballs. 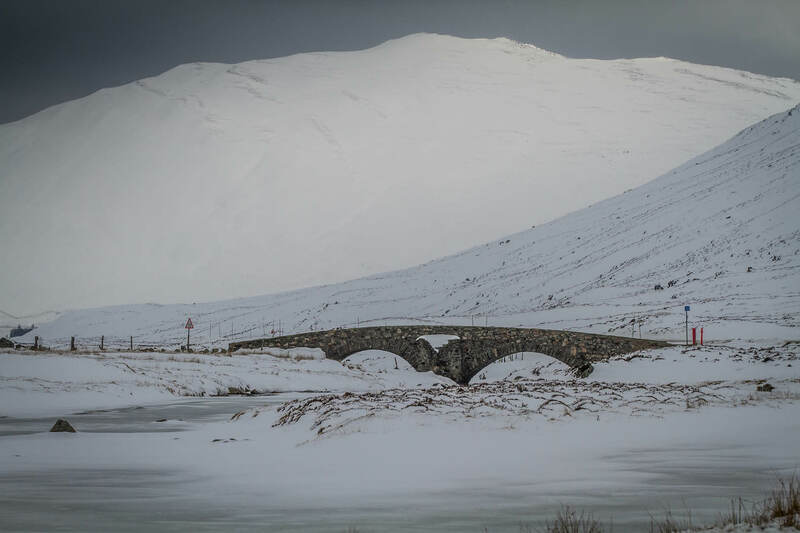 A popular choice for a ski with the locals is ‘Coo Hill’ outside Braemar, seen here past the bridge. 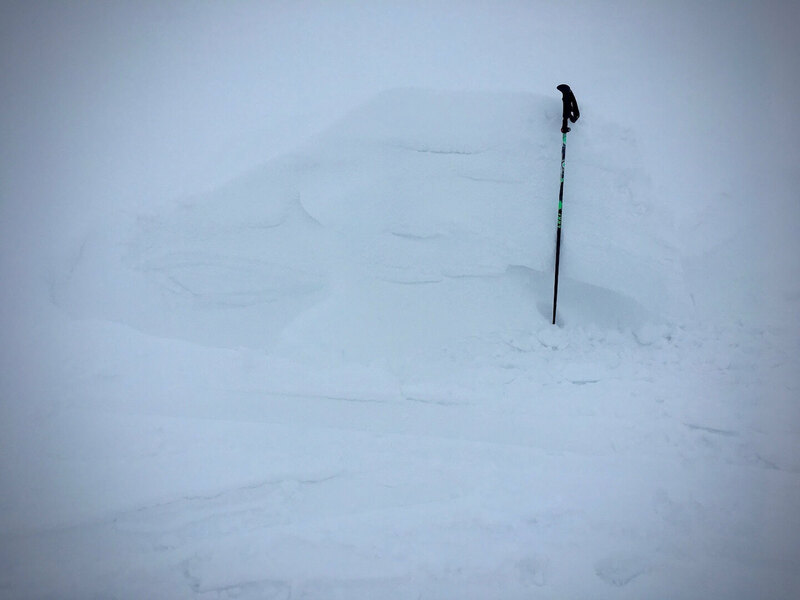 Apparently the snow was a bit heavier this afternoon but at least you have visibility! have deer ever known/been found to have been caught in avalanches themselves? Or are they so light and fleet of foot that eve if they set one off themselves they can avoid getting caught up? 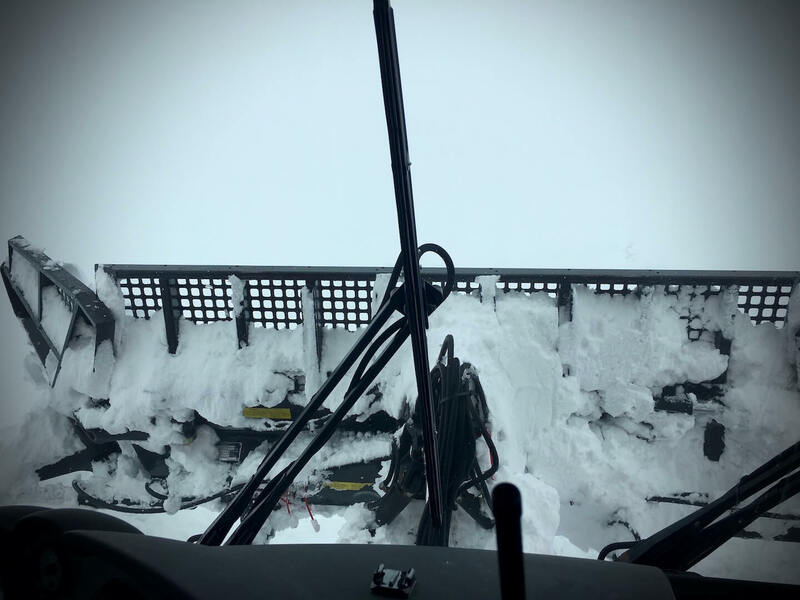 Deer do trigger avalanches and local game keepers have reported deer buried in avalanche debris. A big stag is a significant extra load on a slope. 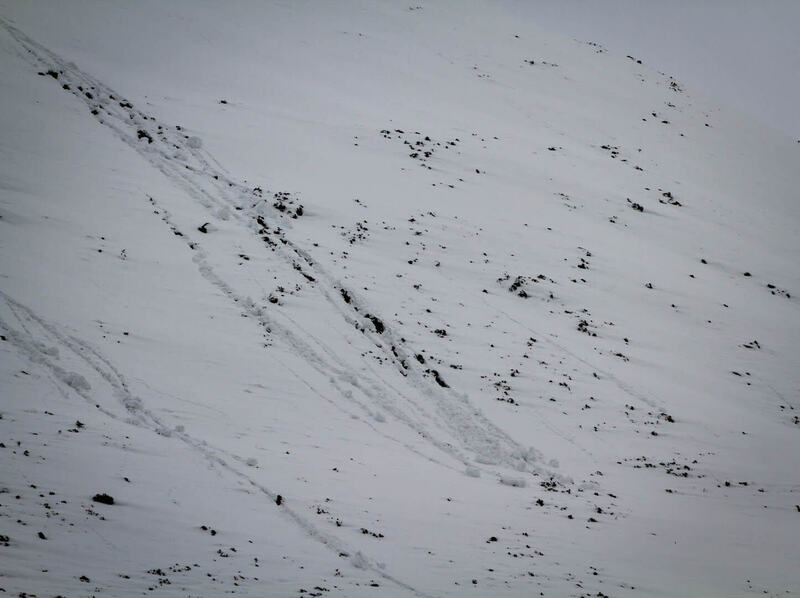 Even lighter mammals can trigger avalanches and one of the senior forecasters here has had to take evasive action went a mountain hare triggered a slope above him!